However Anse Citron is largely deserted throughout the year. As suggested, the water here is too shallow to swim in, so it can be hard to see at first glance just what there is to do here. Thankfully, the beautiful views of Cousin and Cousine, especially at sunset, give visitors something to enjoy. Anse Cimitière is also extremely family-friendly thanks to the calm, shallow water and the offshore coral reef, which protects the bay from the open ocean. A good little beach located in a beautiful large bay, Anse Cimitière offers enough to merit a visit. 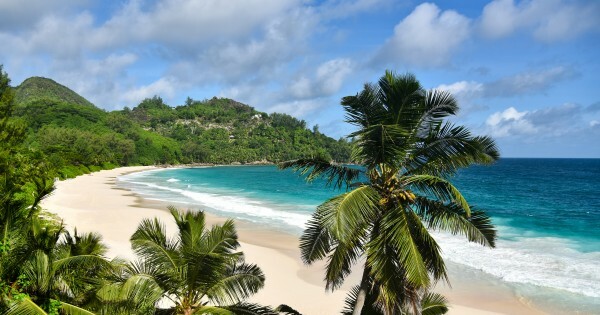 Anse St. Sauveur is a relatively small beach in the south of Praslin, just along the coast from other beaches such as Anse Bateau and Anse Cimitière. A good spot for snorkelling and fishing, Anse St. Sauveur is especially well-suited to those who want a quiet, calm space to relax, perhaps under the numerous coconut trees that line the beach. Raffles Praslin, Anse Takamaka Fresh produce and local specialties are the order of the day in this restaurant with a particularly relaxing atmosphere and its own pool. Besides delicious curries, freshly-caught lobster, or grilled fish, there are also family-run barbeques and tasting sessions in the evenings.